Witchcraft: The Basics is an accessible and engaging introduction to the scholarly study of witchcraft, exploring the phenomenon of witchcraft from its earliest definitions in the Middle Ages through to its resonances in the modern world. 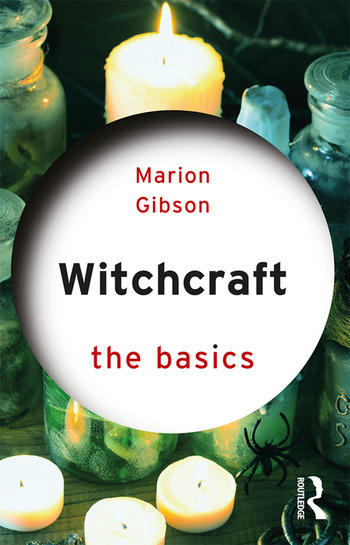 Through the use of two case studies, this book delves into the emergence of the witch as a harmful figure within western thought and traces the representation of witchcraft throughout history, analysing the roles of culture, religion, politics, gender and more in the evolution and enduring role of witchcraft. With an extensive further reading list, summaries and questions to consider at the end of each chapter, Witchcraft: The Basics is an ideal introduction for anyone wishing to learn more about this controversial issue in human culture, which is still very much alive today. Chapter Three Witchcraft in early modern literature: "the witchcraft renaissance"
Marion Gibson is Professor of Renaissance and Magical Literatures at Exeter University and works on witches, magic, paganism and the supernatural in literature. Her previous publications include: Rediscovering Renaissance Witchcraft (2017), Imagining the Pagan Past (2013), Mysticism, Myth and Celtic Identity co-edited with Shelley Trower and Garry Tregidga (2012), Witchcraft Myths in American Culture (2007), Possession, Puritanism and Print: Darrell, Harsnett, Shakespeare and the Elizabethan Exorcism Controversy (2006) and Reading Witchcraft: Stories of Early English Witches (1999).